We get a lot of questions about teething from concerned parents, so we thought we’d cover some of the basics about this natural process here on our blog. While this can be a tough time for both baby and parents, knowing what to expect and how to ease discomfort can help. Teething in babies can start anywhere from 3 months to as late as 14 months, with the average age being around 6 months old. Usually, the first to appear are the lower central incisors, followed by the upper central incisors after a month or two. While it’s not uncommon for teeth not to follow the same exact order, they’ll generally appear in the order below, with a month or so in between each different tooth type. What to expect with a teething baby. This is an uncomfortable time for your baby, as the pressure and pain associated with their teeth erupting are new for them. They will be fussy and cry, and you’ll likely have some restless nights as teething seems to be more active at night. It’s important to remember that this is normal. Still, discomfort shouldn’t be excessive, gradually worsen, or last longer than a week. If it does, make sure call your dentist or doctor. 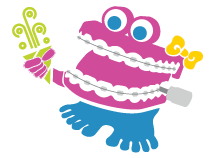 It can take up to two years for all of baby’s teeth to come in, but they shouldn’t be teething the entire time. Once the first few teeth erupt, the process becomes much less painful for them. How can I make my baby feel better during teething? Washcloths that have been in the freezer for a while are great for babies. They’re still soft, but cold enough to numb some of the pain. Baby can also get a good grip on them! You might find that your baby prefers something harder than a washcloth to chew on. There are several toys on the market made of rubber or silicon that are great options for this. We personally like the Baby Banana Infant Training & Teether for how it massages sore gums, but also because it promotes good oral hygiene early! If the tooth hasn’t erupted yet, massaging your baby’s gums with a clean finger has worked to reduce discomfort. Applying light pressure helps combat the pressure they’re feeling, as well as swelling. For babies that are already eating solid food, a chilled food like a soft frozen banana is a welcome distraction to teething discomfort. For babies that breastfeed, continuing to do so while they’re teething can be a source of great comfort. We’ve also heard that parents have had success with breast milk ice cubes, or for very young babies, crushing them up in a washcloth for them to chew on. Don’t underestimate the power of some extra cuddles and snuggles during the teething process. A new toy or some extra one-on-one time can be a welcome distraction from the dull ache of their gums. Different things work for different babies, so experiment to find out which works best for yours. It will be tough to see them through their discomfort, but remember this is a natural process we all go through. 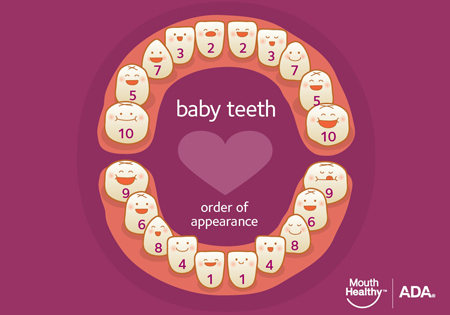 Plus, waiting on the other end of the teething process is a happy, healthy, toothy smile! What have you found to work best during teething?